Internet pricing may vary from website to website. At the time of writing this review this product was found at a price of $21.95 for a bottle of 30 capsules, which under the suggested use should last about one month. As far as Phytoceramides products go, Premium Fusion Phytoceramides may be a decent option. However, when looking at the price of this product, its ingredients and that they do not offer a guarantee, a smart consumer may be wary of this product. 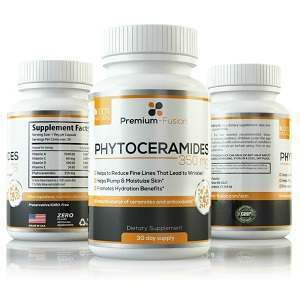 Jack Webster	reviewed Premium Fusion Phytoceramides	on February 24th	 and gave it a rating of 2.